Caitlin Murphy, a sophomore at Exeter-Milligan, recently participated in the Nebraska State Speech Tournament at Kearney. 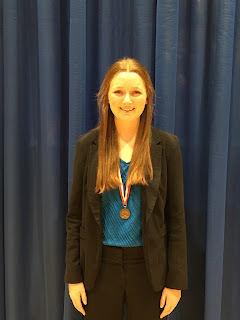 She qualified for the state meet in two events, Informative and Persuasive Speaking. She made finals in Persuasive Speaking, placing 4th overall. Congratulations Caitlin on a successful speech season!